This is the smallest leather jacket I make. 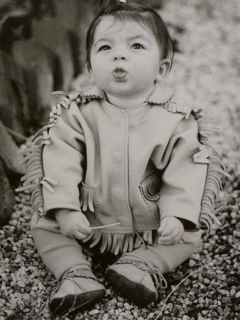 It's the Baby Deerskin Fringed Jacket, 0-6 months, it sells by custom order. For girls and boys in a variety of colors. Most adorable and a family keepsake treasure. We can make this jacket in other children's sizes, look below for a variation price.